In the windswept British seaside town of Ridinghouse Bay, single mom Alice Lake finds a man sitting on a beach outside her house. He has no name, no jacket, and no idea how he got there. Against her better judgment, she invites him inside. Meanwhile, in a suburb of London, newlywed Lily Monrose grows anxious when her husband fails to return home from work one night. Soon, she receives even worse news: according to the police, the man she married never even existed. Twenty-three years earlier, Gray and Kirsty Ross are teenagers on a summer holiday with their parents. The annual trip to Ridinghouse Bay is uneventful, until an enigmatic young man starts paying extra attention to Kirsty. Something about him makes Gray uncomfortable—and it's not just because he's a protective older brother. Who is the man on the beach? Where is Lily's missing husband? And what ever happened to the man who made such a lasting and disturbing impression on Gray? 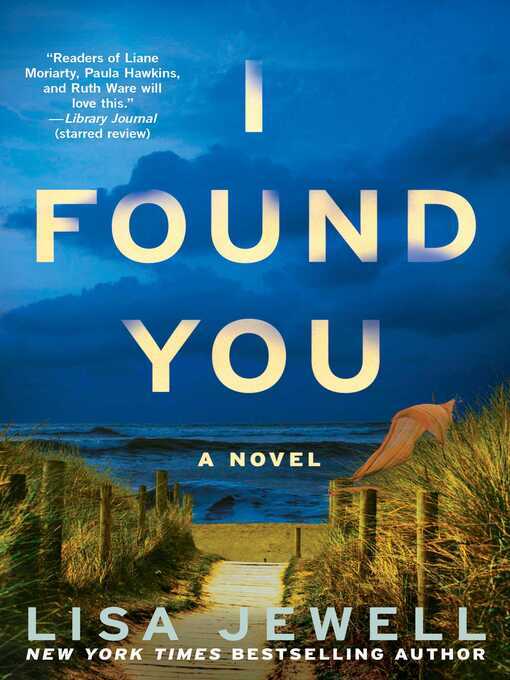 "A mystery with substance" (Kirkus Reviews), I Found You is a delicious collision course of a novel, filled with the believable characters, stunning writing, and "surprising revelations all the way up to the ending" (Booklist) that make the New York Times bestselling author of Then She Was Gone Lisa Jewell so beloved by audiences on both sides of the Atlantic.